The Borg Warner/Tremec T56 transmission is very well engineered 6 speed that can be upgraded to perform better than the original engineers intended to. 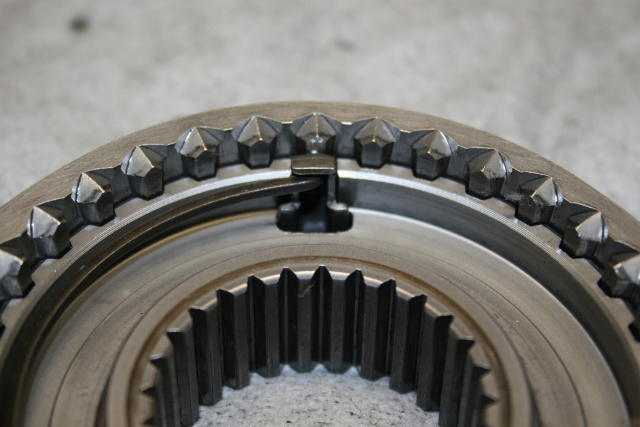 Most 6 speed owners want to upgrade to Stage I; Stage II; Level I; Level II, so on and so forth but most people don’t know the reason behind the upgrade. 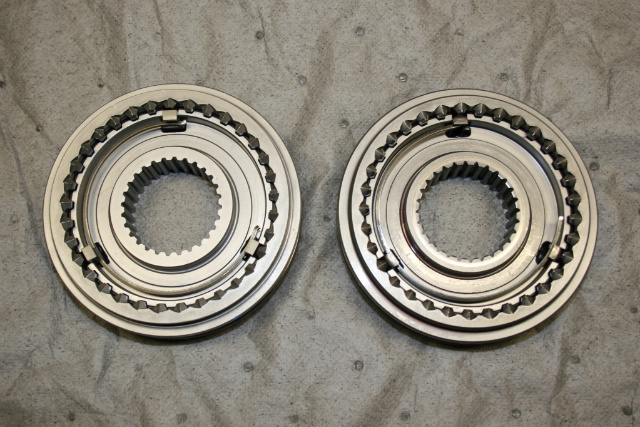 OEM manufacturers build transmissions with objectives in mind but the bottom line is always the cost. 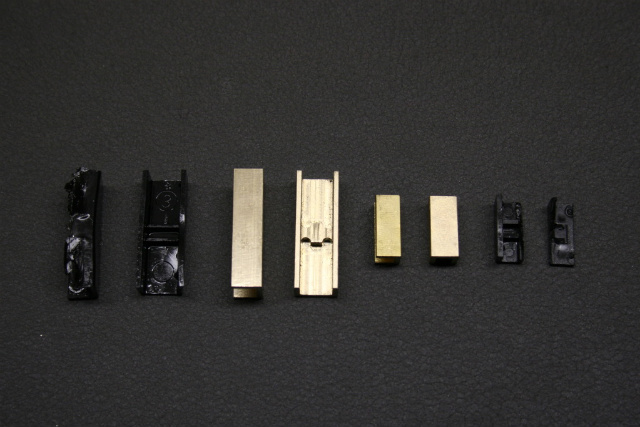 In order to save on costs, they use parts that will be easy to produce and inexpensive to manufacture. 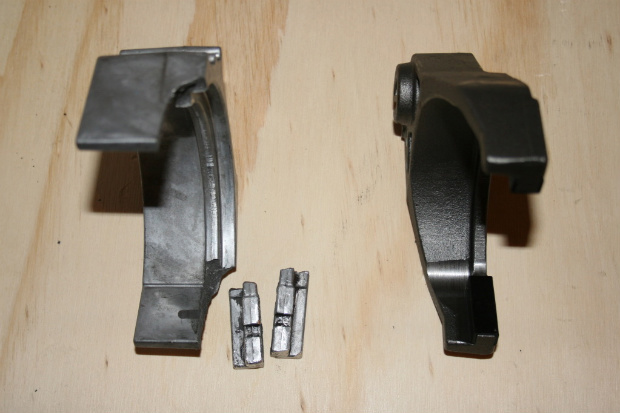 For normal street use, these parts stand up quite well and last up to 100,000 miles or more. With the above upgrades, the T56 will perform well under all aggressive shifting environments. 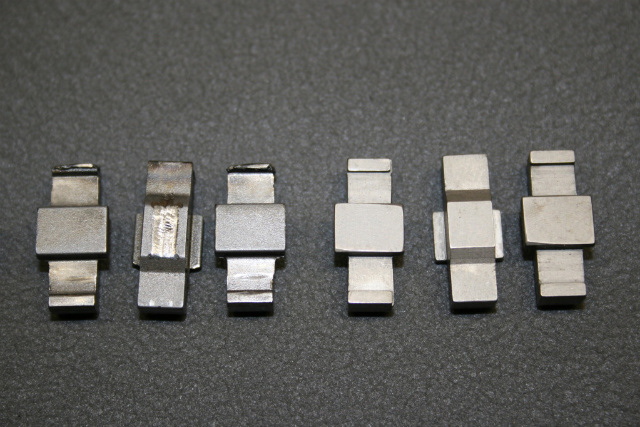 The one on the left has billet keys compared to the stamped keys on the right. 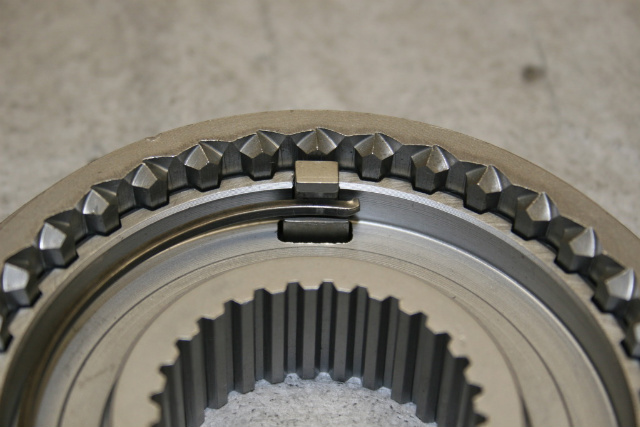 Close up of the billet key. Close up of the stamped key. 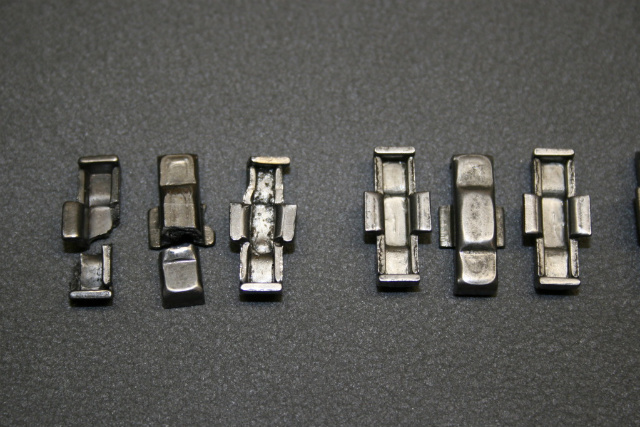 Broken stamped steel keys; new stamped keys; damaged billet keys; new billet keys. Close up of stock stamped steel keys. Close up of billet keys. 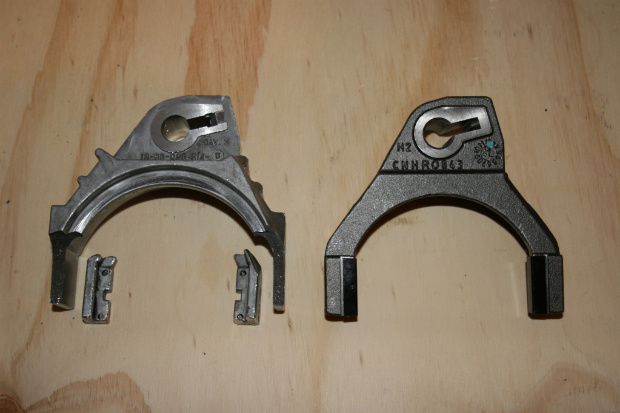 The billets keys on the left were damaged but did not fail. 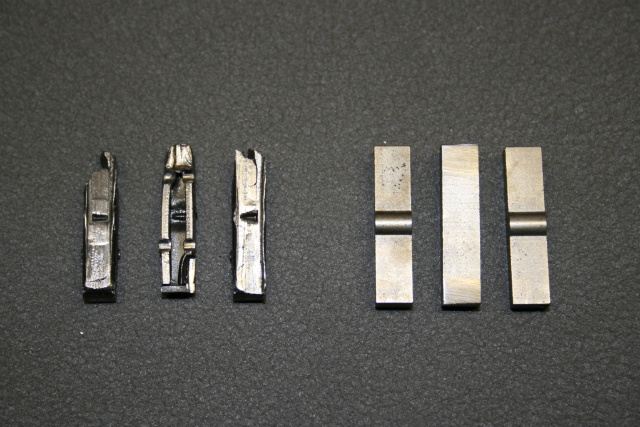 Stamped steel 1-2 keys; Solid 1-2 keys. 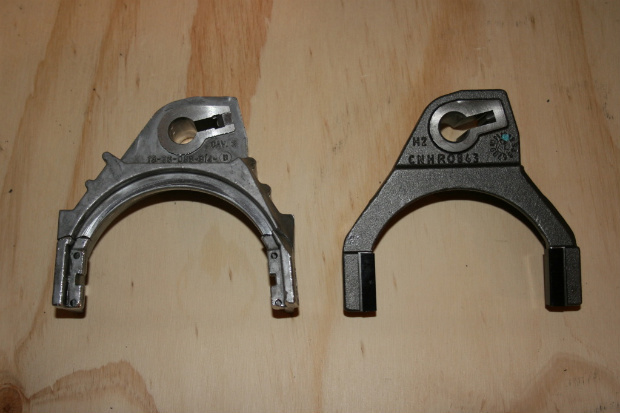 Comparison between plastic fork pads and bronze fork pads. 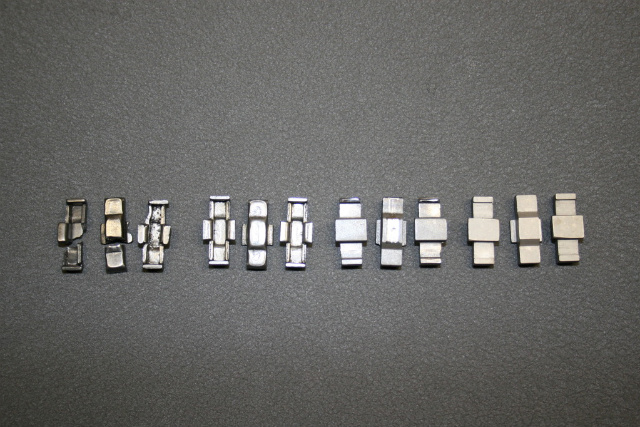 This is the comparison between the aluminum 3-4 shift fork and the steel 3-4 shift fork. This shot shows the broken aluminum fork “fingers”. Another shot of the broken 3-4 shift fork compared to the steel fork.